How to Add, Modify, & Delete Registry Keys & Values? Registry Editor is said to be the backbone of Windows computer. It contains information, settings, options, and other values for programs and hardware installed. If you are a normal user then, you would not use Registry Editor. However, if you are a pro and know about Windows advanced settings, you know how to use it. Sometimes, to fix some errors, you need to add or delete a subkey or value in Registry editor. No matter what we are doing, whenever we are asked to make changes to Registry Editor, we tend to get a bit intimidated. As is always said that one slight mistake on Registry Editor could ruin it all and leave your computer futile. Don’t worry, if you follow steps carefully and know what you are doing, you can resolve some of the common issues on your computer without an expert’s help. In this post, we will walk you through steps to add, modify & delete Registry keys and values in Registry Editor. Note: The process of making changes in Registry Editor is the same irrespective of the version of Windows, you are using. Type Regedit in Search bar beside Start menu. You will get a prompt, click on Yes to open Registry Editor. Now locate File menu at the top right corner of the Registry Editor window. It will ask you for the location where you want to save the backup file. Choose the location, enter the file name and click Save. In this way, you can save the registry settings before going any further. As you locate the registry key to which you can want to add a subkey, right click on the key. From the context menu, choose New-> Key. Name the registry key and hit Enter. To create a value, right click on the registry key and choose New-> choose the type of value you want to create. Name the value and hit Enter. Now double tap to open the created value and set the “Value data”. Close the Registry Editor Windows, once the task is completed. Restart your computer to let the changes effect. Note: Creating a subkey or adding a value will not necessarily affect your computer but modifying one will, so you need to careful while following below mentioned steps. You not only can add subkeys or values to a registry key, you can also rename or make other changes to a registry keys. On the left-hand side panel of Registry Editor, steer to the registry key which you want to rename or make changes to. Right-click on the key and select Rename to rename the key. Type the new name and hit Enter. If you want to rename registry value, right click on the value mentioned in the right-hand side panel and select Rename. Type a new name for the registry value and hit Enter. If you wish to change value data for a Registry value, then locate the value from the right-hand side and make a right click or double-click on it. Select Modify from the context menu. You will get a small window, under Value Data, assign a Value data, then hit OK. Note: Sometimes you don’t need to restart your computer to let the changes effect but it is better to restart your computer to be sure that the changes are applied. On the left-hand side panel of Registry Editor, steer to the registry key->subkey which you want to delete. Right-click on the key and from the context menu, choose to Delete to delete the key. If you want to delete a value, then look for the value on the right-hand side of the window, right click on it. Choose Delete from the drop-down menu. Note: The language of the warning could be different in different versions of Windows. Click Yes to delete the value. Now, restart the computer to let the changes effect. RegClean Pro deals with fragmentation and makes your registry run better and faster, therefore your computer will run faster too. 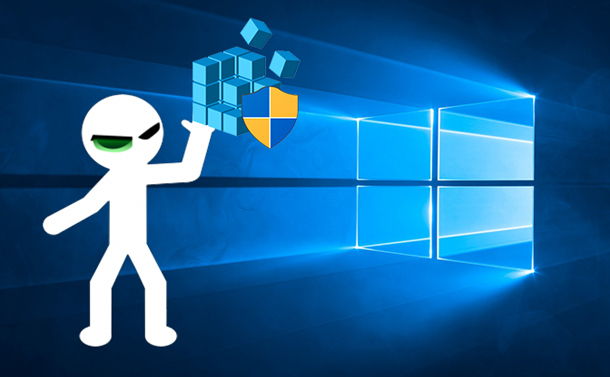 It identifies and fixes the error messages which could cause crashing and also deal with outdated information in Windows registry. It is safe and reliable as it always takes a backup every time before making any changes to Registry Editor. So, with RegClean Pro on your computer, dealing with registry issues could be a cakewalk. You can either use the steps to add, modify & delete Registry keys & values or use RegClean pro. Try it and let us know how it worked for you! Digital Tools: Boon or Bane For Productivity?